Two good Samaritans couldn't feel a pulse on Kaia Bollmann. That's when Samantha Stewart stepped in and started CPR on Bollmann right away. ST. FRANCIS, Minn. -- Samantha Stewart of St. Francis said she was terrified while performing CPR on one of the teenagers hit by a car last Tuesday night. "I just kept thinking... please, please let me be doing this right," Stewart recalled. Stewart was on her way home when she saw what looked like a car accident at Hwy. 47 and Pederson Drive NW in St. Francis. She didn't see any flashing lights, police or an ambulance yet so she pulled over and ran across the highway. That's when she saw two girls hurt. 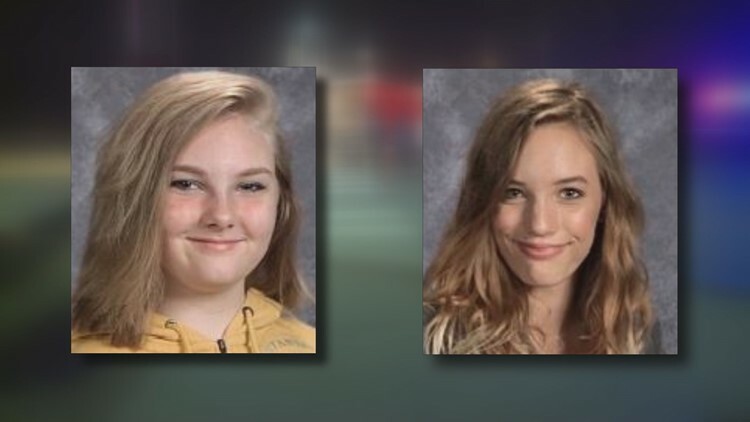 According to police, Kaia Bollmann and Annie LaMotte were crossing the highway on a crosswalk when they were hit by a northbound vehicle. The driver, a 62-year-old man from Isanti, immediately stopped and cooperated with authorities. Both Bollmann and LaMotte are 14 years old and 8th graders at St. Francis Middle School. Stewart said LaMotte was hurt but able to talk. Then she saw Bollmann. Another good Samaritan, identified by Stewart as Adam Klinkner, was on the phone talking to an EMT and checking for Bollmann's pulse. Stewart heard him say he didn't feel a pulse. "I feel like everything at that point was in slow motion," Stewart said. Kaia Bollmann (left) and Annie LaMotte (right), both 14, are lucky to be alive after being hit by a car in St. Francis. They rolled her over and Stewart started CPR right away. "After count 30, or so, she came back. But the whole time Adam was just walking me through it and his voice was so calm. He was just telling me, 'Keep going. You're going a good job,'" Stewart recalled. Once Bollmann was breathing again, another good Samaritan took over; Stewart does not know her name but said it was clear she had "a lot of medical training." Stewart works as a medical assistant with Fairview Health and gets recertified for CPR every two years. Her most recent training happened in August. But this was the first time Stewart had to perform CPR on someone. "It was the best feeling that I ever had in my life. It was a huge relief," she said. On Friday the families spoke to the media from Hennepin County Medical Center. "They both saved my daughter's life. Otherwise, there's a chance she might not be here today," said Jill Kelley, Bollmann's mom. Stewart also visited the girls at the hospital on Friday. She was able to talk to LaMotte but Bollmann isn't awake. The family is keeping Stewart updated on Bollmann's condition. "The amount of love I have for Kaia is crazy and I don't even know her but I'm thankful now to have a second family," she said. As of Sunday night, HCMC said Bollmann is still in critical condition while LaMotte's status has been updated to satisfactory. Stewart, a mother of two, said she agrees with the teens' parents that there needs to be a safer intersection where the girls got hit. An online petition for a walking bridge over Hwy. 47 has more than 9,000 signatures so far.